There’s more to this upholstered storage bench than what meets the eye. Supple faux leather upholstery provides a comfy sitting area. Lift up the seat cushion to reveal lots of storage underneath. 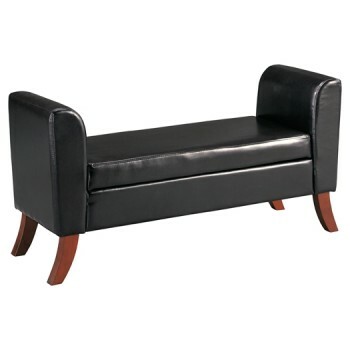 Coupled with curved legs and flared ends, this bench is full of form and function.